The Chinese government has gathered in January 2017 to reveal the newest issue of the Development Plan for the Milk Industry in 2016-2020. The plan focuses on to strengthen the domestic infant formula manufacturers as well as improve the standards, laws and regulations in the dairy market. The meeting of China’s Ministry of Agricultural took place on January 9 to reveal the newest points and the focus of the Development Plan for the Milk Industry in 2016-2020. The meeting was joined furthermore by China’s Development and Reform Commission, the Ministry of Industry and Information, the Ministry of Commerce, and also by the Food and Drug Administration, according to CCM. The new points of the latest issue lay their focus on the domestic competitiveness in the infant formula business, improved standards, laws, and regulations for the dairy market as well as the promotion of dairy farming in China. According to the plan, China seeks to have at least three domestic infant formula companies with a sales volume exceeding USD719.4 million till 2020. The market should be highly concentrated with at least 80% of the domestic infant formula sales is achieved by the top ten of China’s manufacturers. The measurements for these goals include stricter regulations and standards for the infant formula market in China. Backing this up, the supervision is going to be strengthened and tests of infant formula products, as well as checks on milk producers and transport, will be carried out more frequently. Also, the government is promoting mergers and acquisitions between Chinese manufacturers to build up their competitiveness and research and development in infant formulae will be supported, to create more brand visibility for Chinese producers. Due to the fact, that most of the regulations for China’s dairy products are from the year 2010, a huge focus is laid on the changes in this area. The new regulations will include stricter requirements for dairy farms, the processing of dairy, the technological standards, and environmental control as well as quality and safety of the products. Also, the standards for raw milk are going to be raised, having an effect on sanitary conditions. This will be supported by a milk grading system for quality improvement, according to CCM. 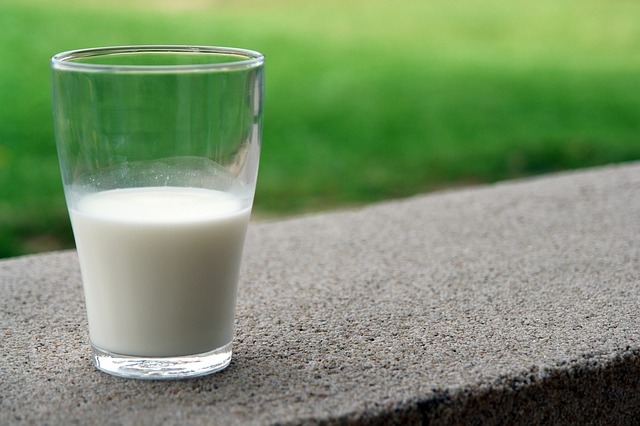 The goals for the dairy farming are described in the plan as following: 41 million tonnes of milk and 35.5 million tonnes of other dairy products should be produced by the year 2020 in China. The milk output per cow will increase by 1.5 tonnes up to 7 tonnes a year till 2020 and the share of large dairy farms are going to be raised up to 70% of all cows in China. To achieve the goals the plan states to rebuild and expand several farms, improving the construction of their milking sheds, manure treatment equipment, and the feed production areas. 300 demonstration farms are going to be built to ensure the right acknowledgement. The year 2016 was marked by decreasing profits and partly losses for China’s dairy manufacturers. The falling profits were the results of huge imports of dairy products, which put pressure on the prices. Some of the manufacturers were seeking for new market possibilities in up markets. Goat milk and organic products have been the most favourable products to upgrade in infant formula. It is expected, that the sales of infant formula based on goat milk will double by the year 2020. Other manufacturers choose to diversify their business in other markets. For example going from infant formula to health care products, keeping the same marketing strategy and retailers to get into new markets. With China’s government strengthen the competition of domestic manufacturers to gain market share, it is to be seen how the further development trend of China’s dairy manufacturers is going to head on. Do you want to find out more about the dairy Market in China? Join our professional online platform today and get insights in Reports, Newsletter, And Market Data at one place. For more trade information on dairy visit our experts in trade analysis to get your insights today.